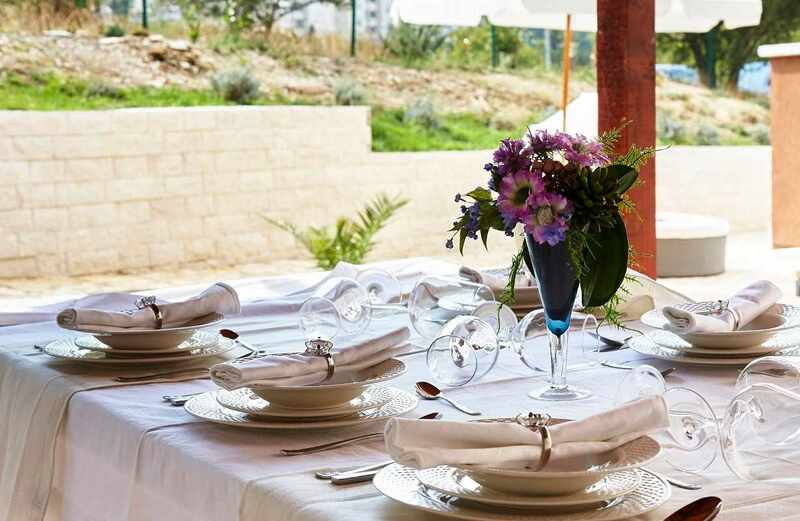 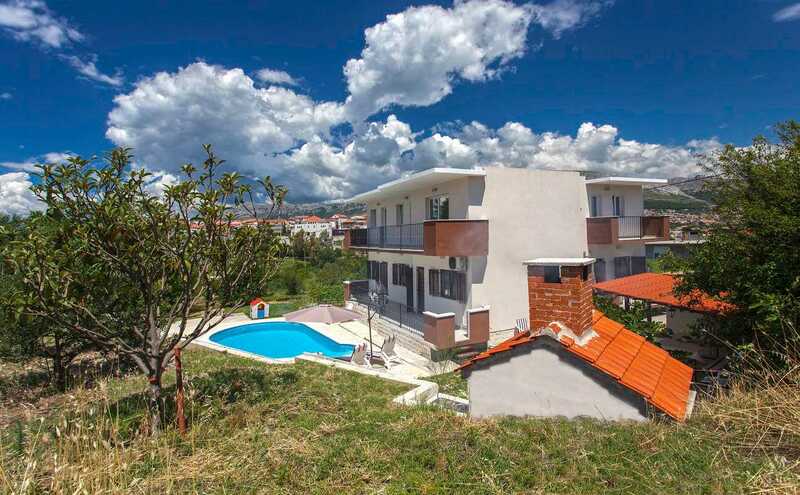 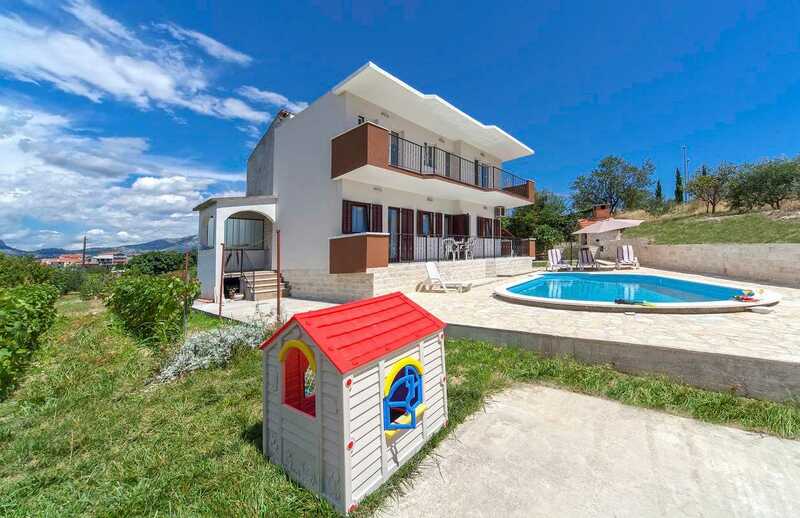 Although located at the entrance to Split, you will love Family Villa in Split with pool in peaceful area because of the absence of noise and bustle. 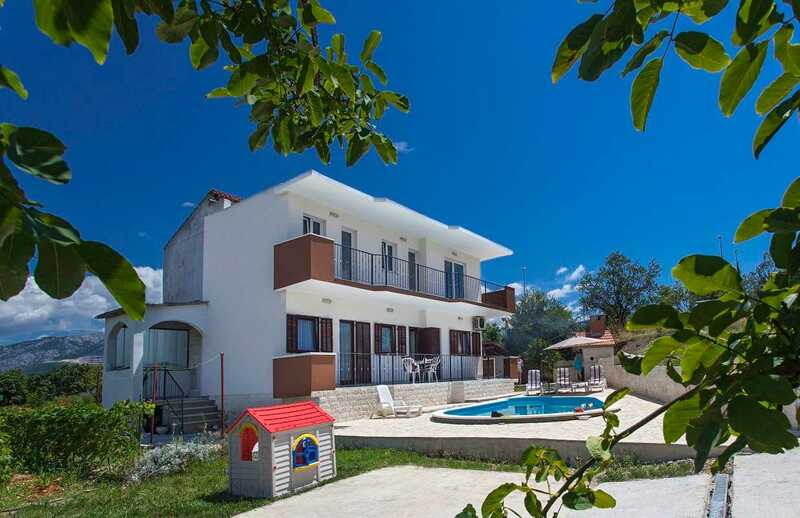 The center is four kilometers away, and the beautiful beach Žnjan is five minutes away by car. 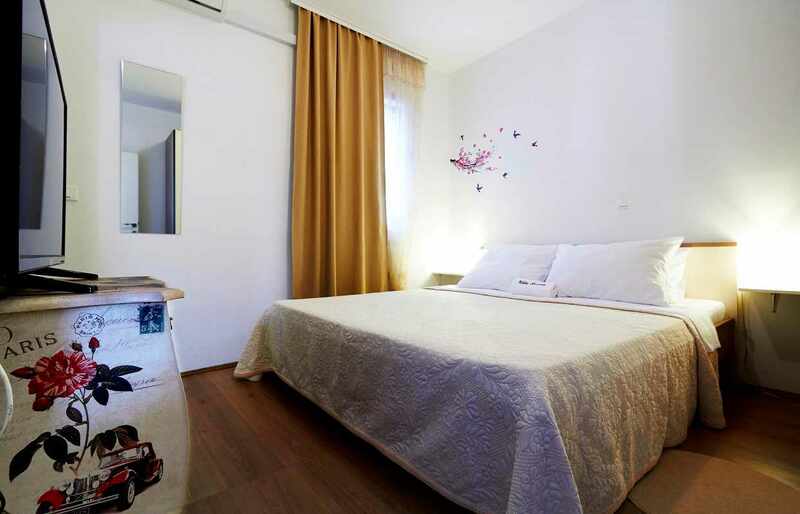 Big shopping center, Mall of Split, is only 2 minutes walk, and the bus stop is 100 meters away so you can go wherever you want. 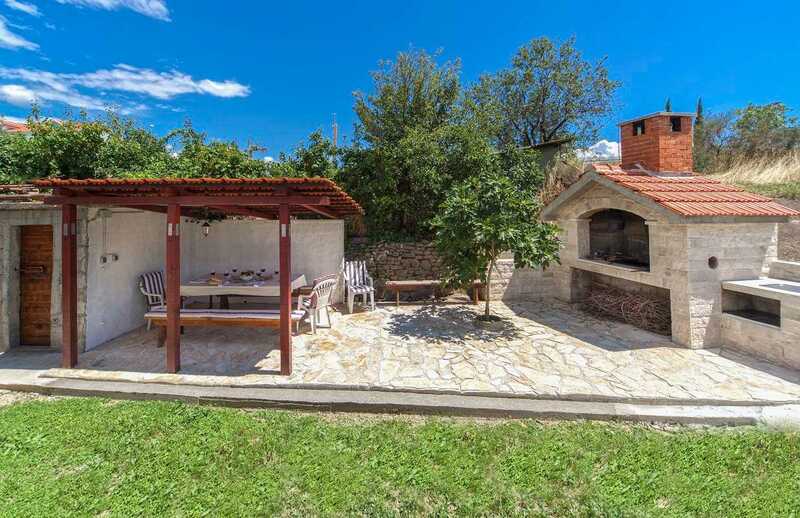 Close to you are the surrounding villages, Solin and Kaštela. 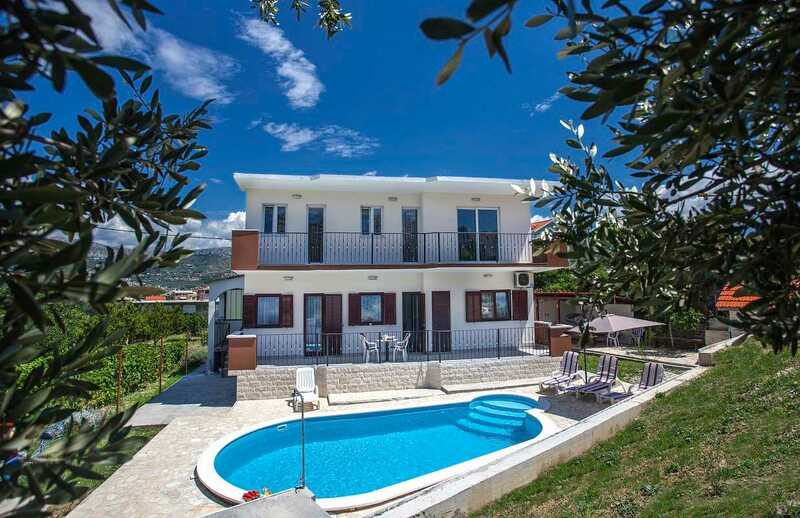 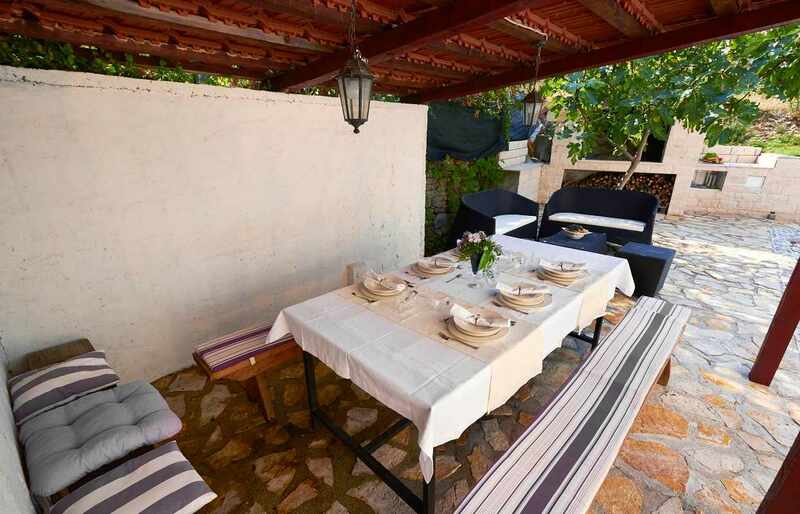 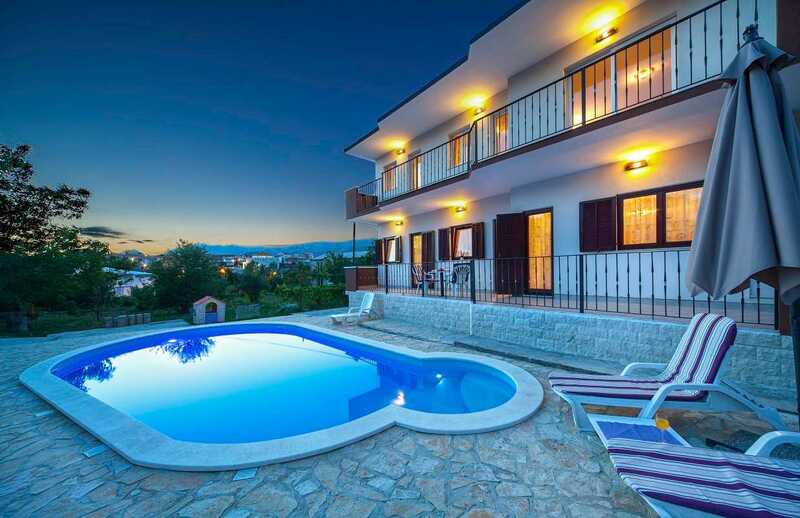 Villa in Split with pool is located in a quiet neighborhood full of shrubs and trees, providing rest and tranquility, just as you were in a village. 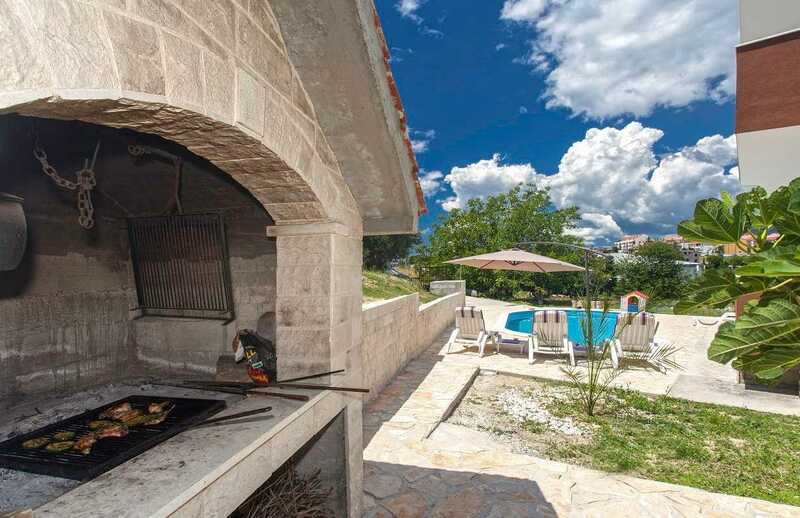 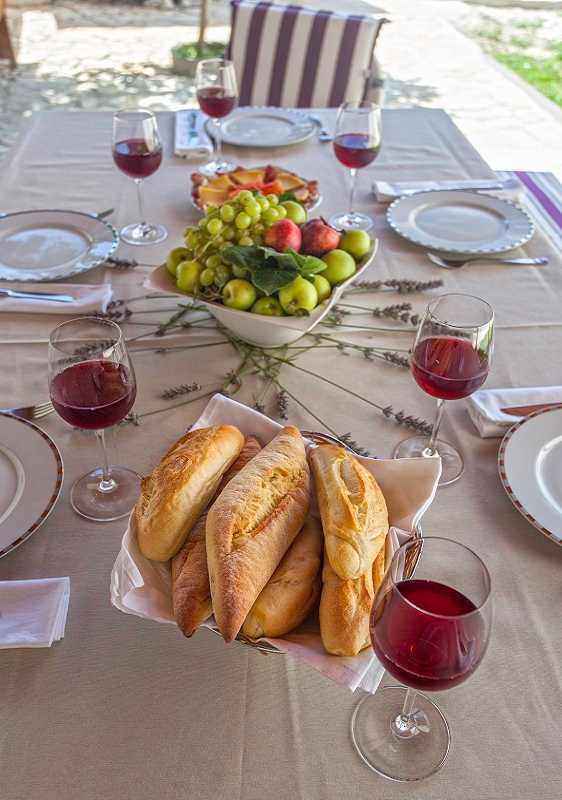 On the stone terrace is a swimming pool with outdoor shower and toilet, and on the roofed terrace with the table you can eat food prepared on the grill. 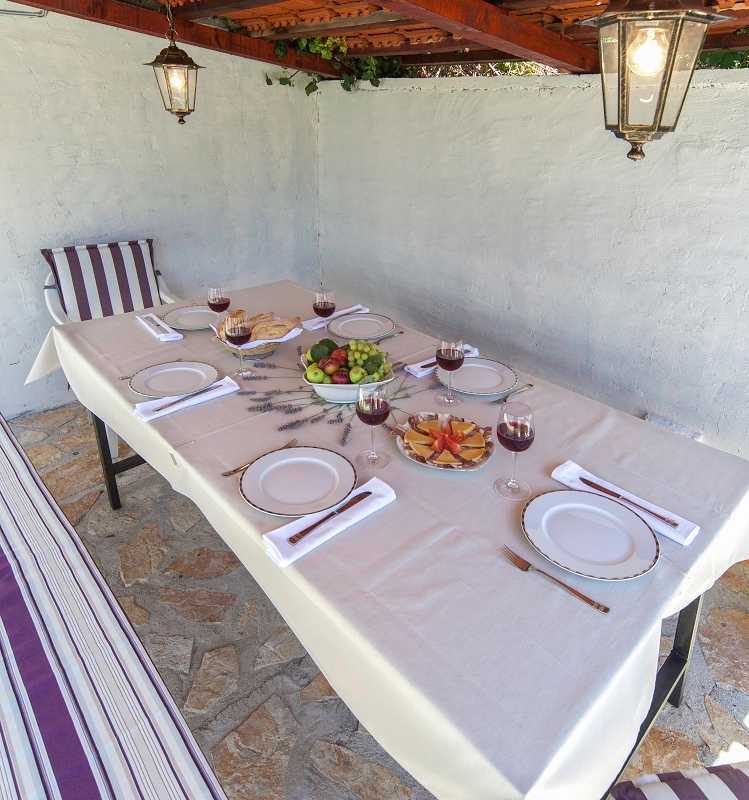 All this is embraced by the beautiful garden with seasonal fruit and vegetables. 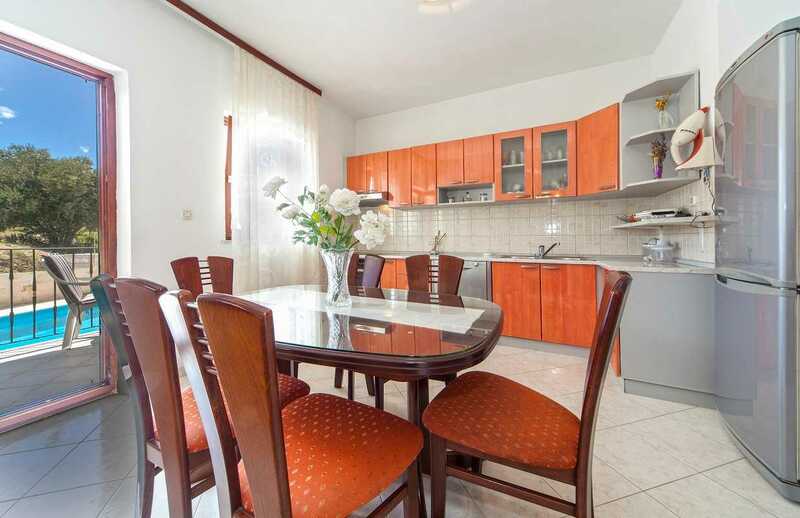 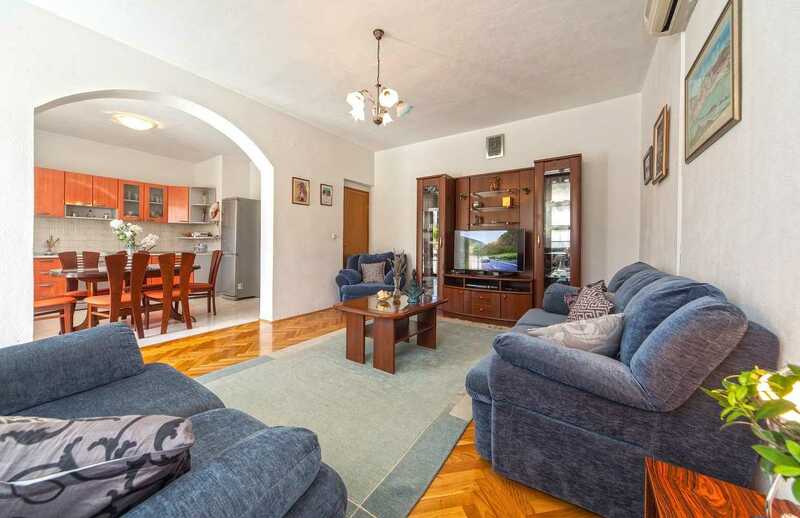 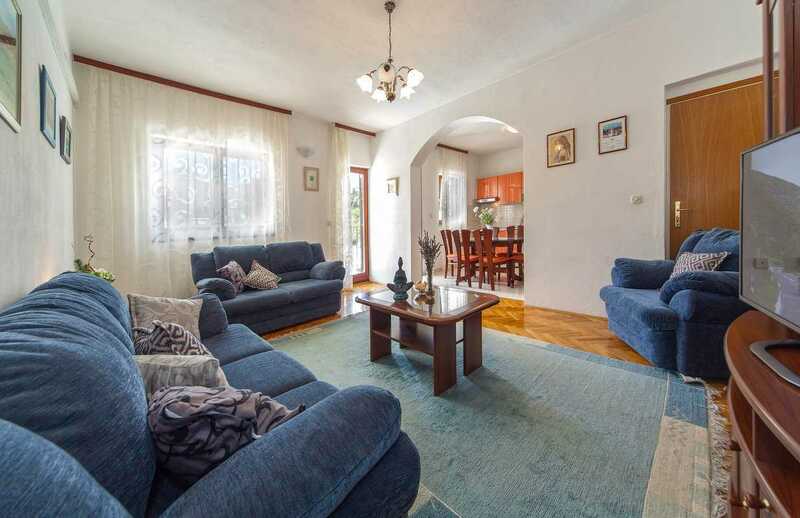 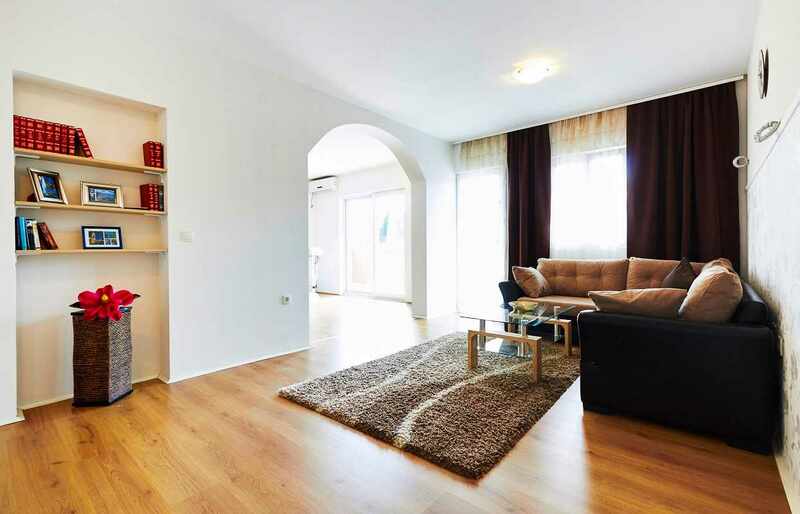 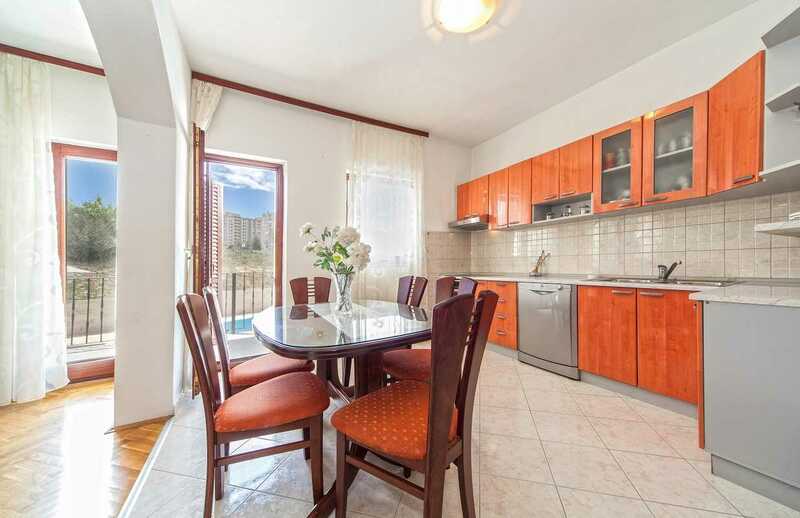 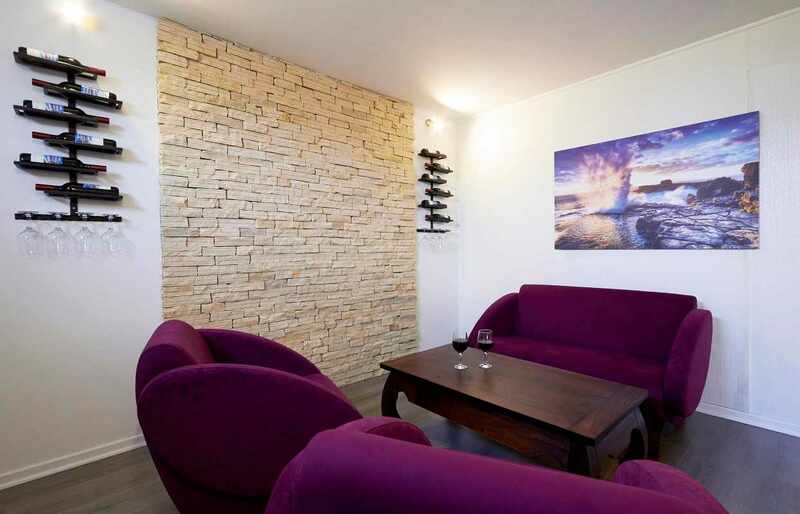 The ground floor of Villa in Split with pool is adorned with wooden furniture: unusually designed chairs in the dining room / kitchen and a blue sofa in the living room that can serve as a bed for two people. 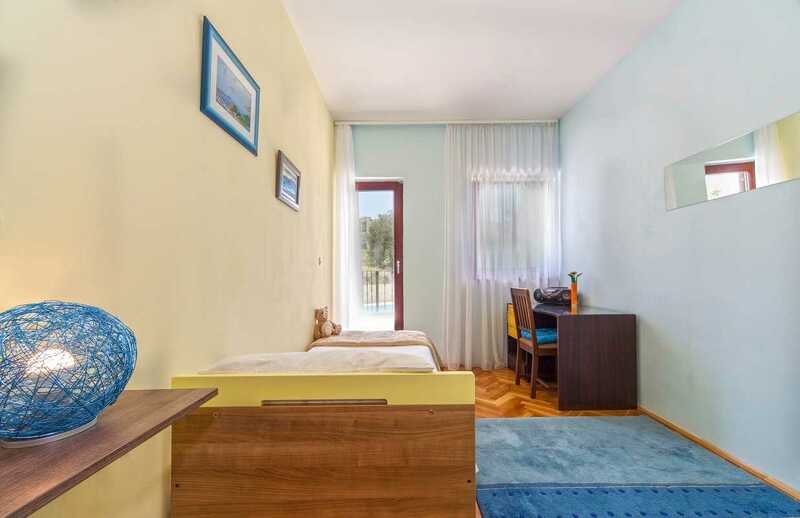 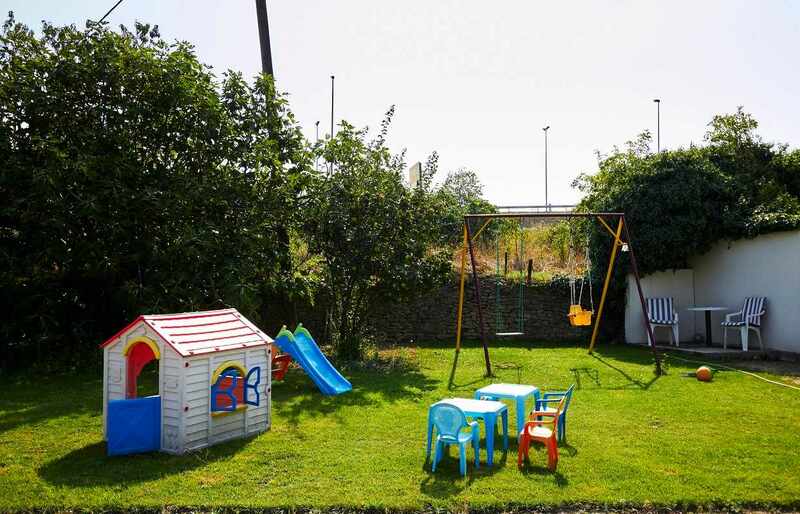 There are also two bathrooms and three bedrooms: children’s room, one with a double bed and the other with a single bed with access to a large shared balcony, which offers views of the countryside. 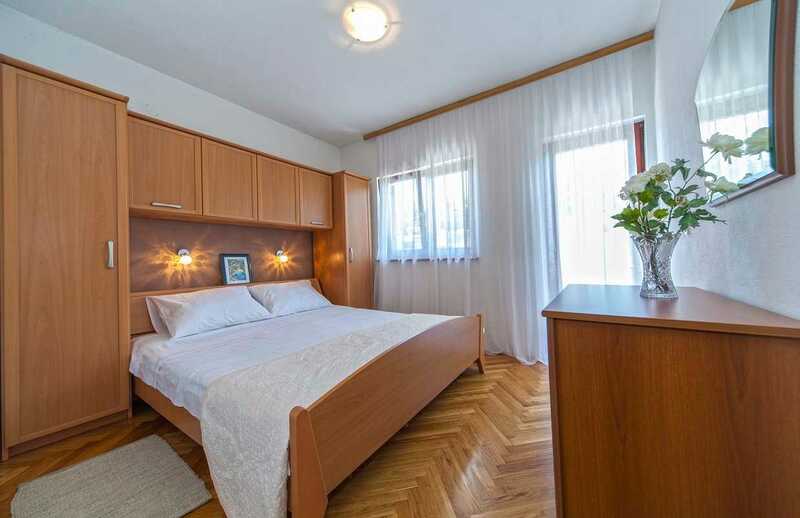 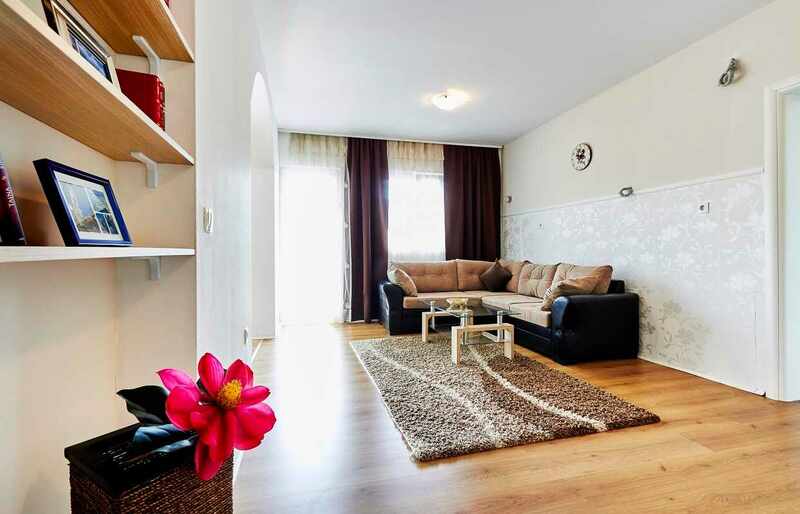 All are decorated with wooden modern furniture, and two single rooms have a desk. 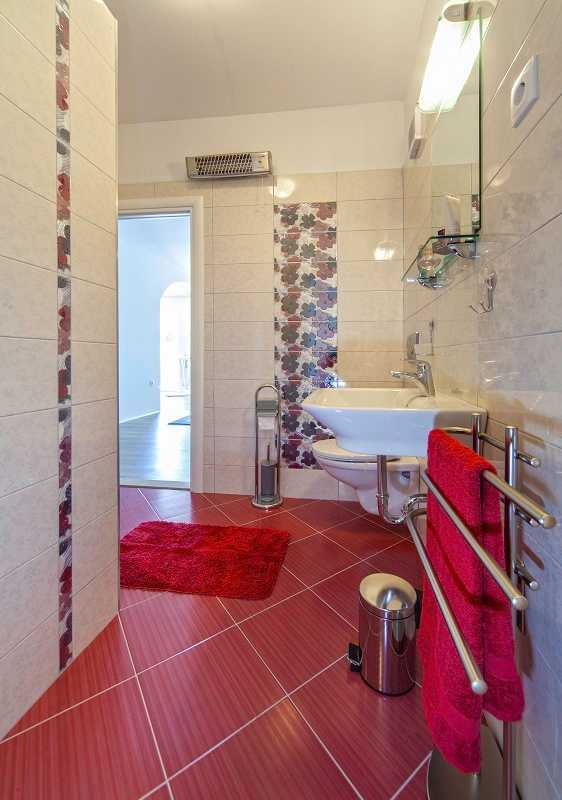 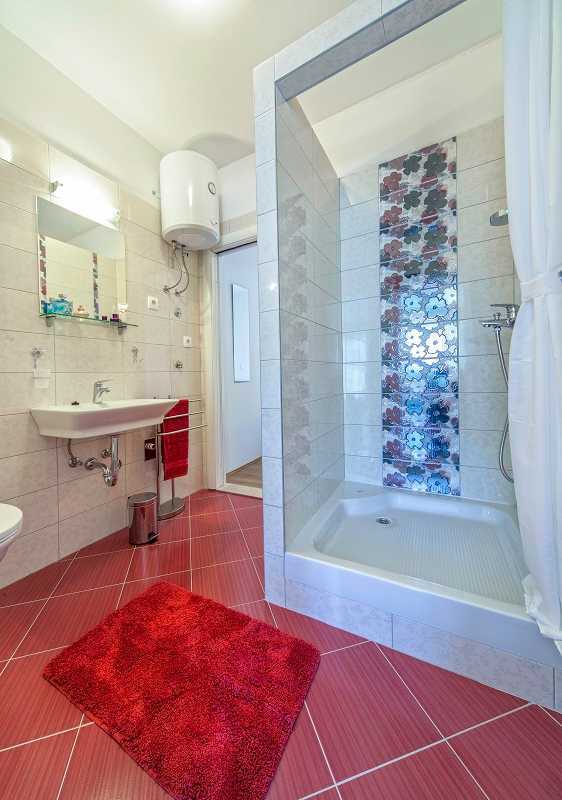 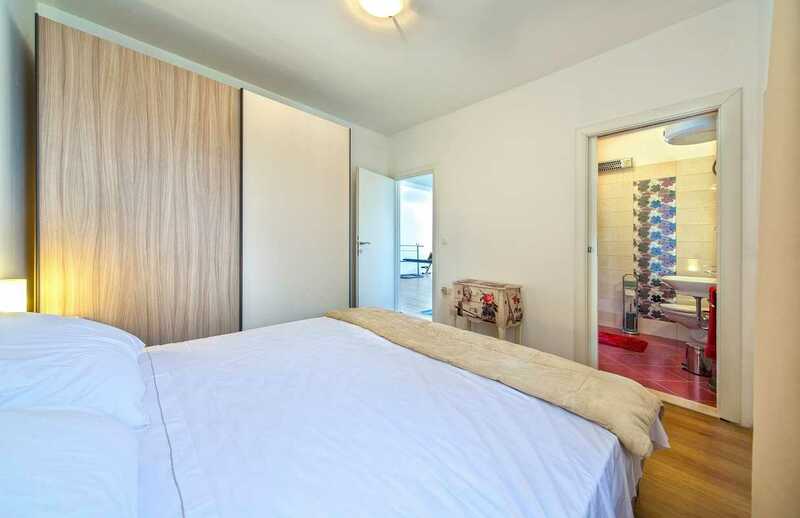 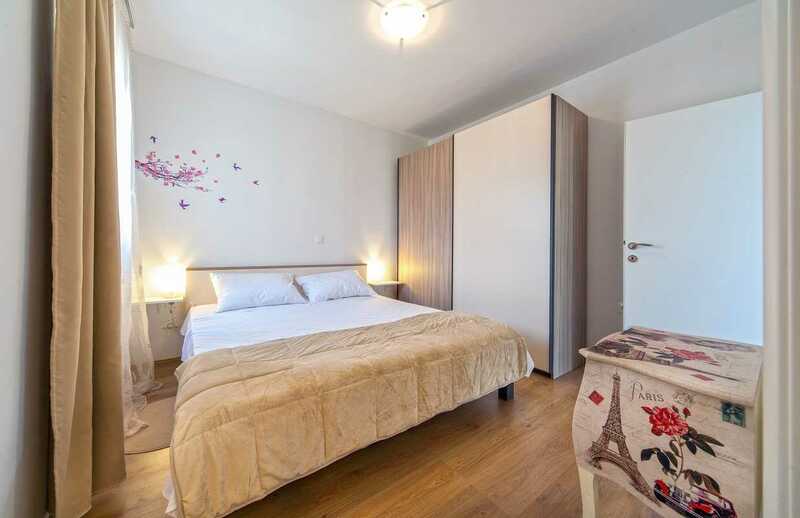 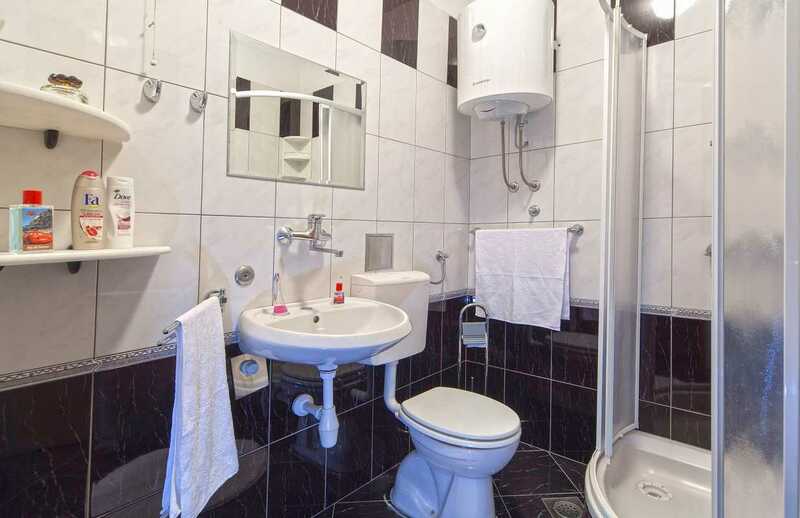 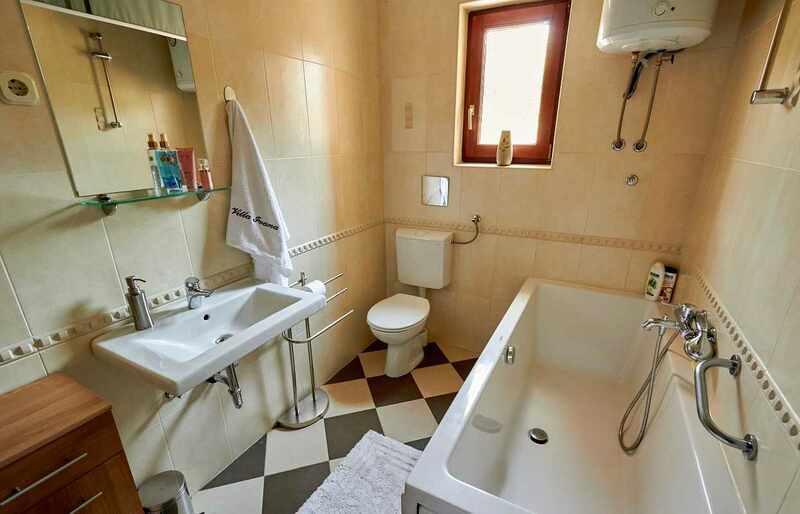 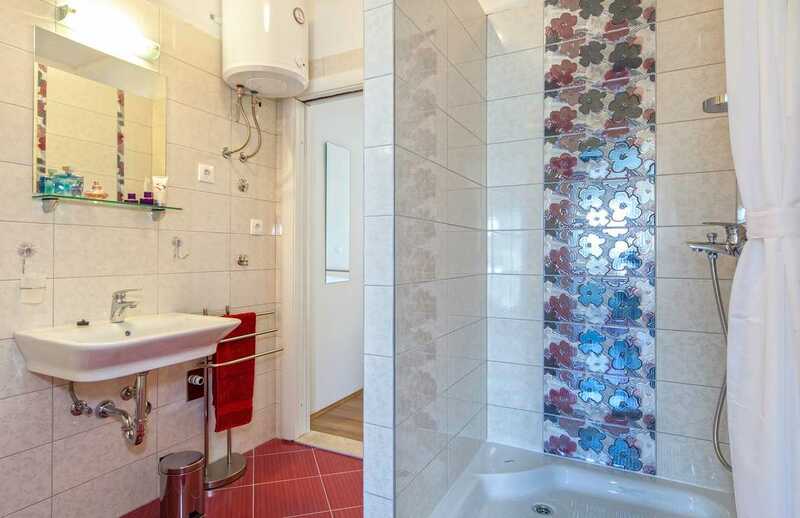 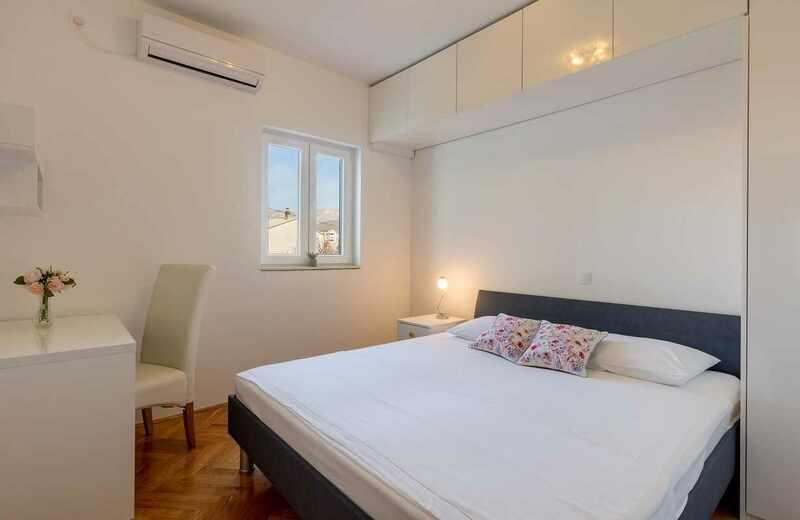 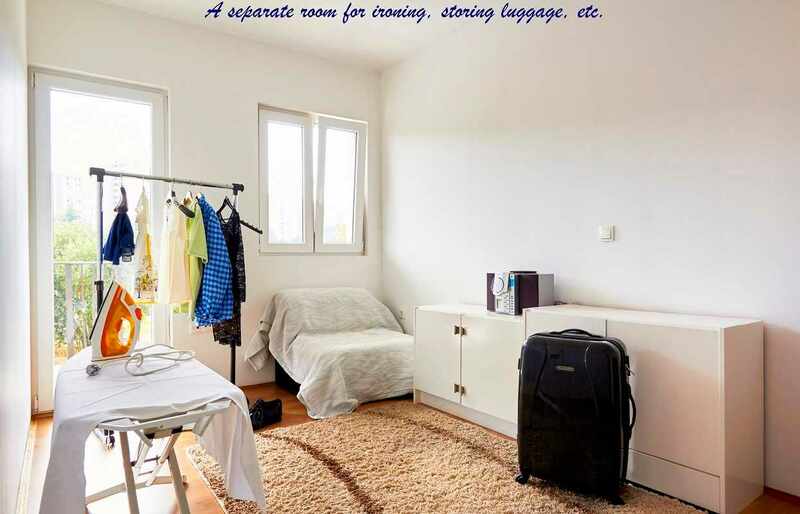 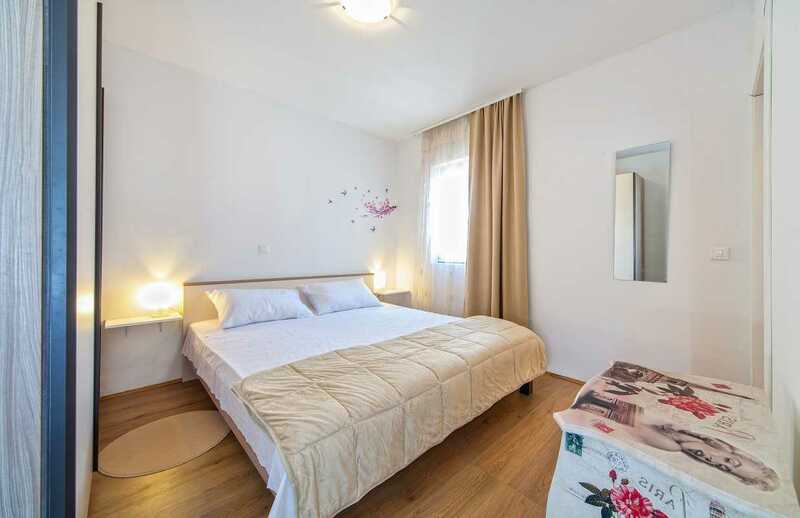 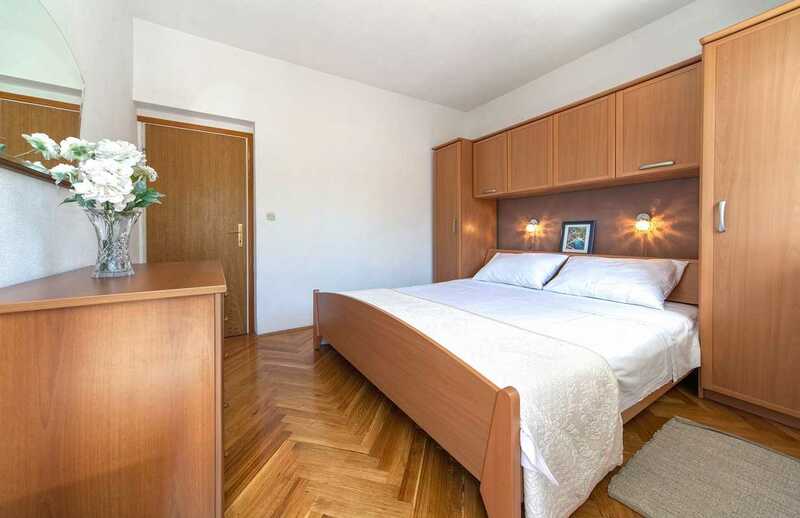 Split Croatia villa upstairs is a bedroom with a bathroom and a small commode sketched by the image of Marilyn Monroe, buildings of Paris and a red rose, which brings you a bit of glamour. 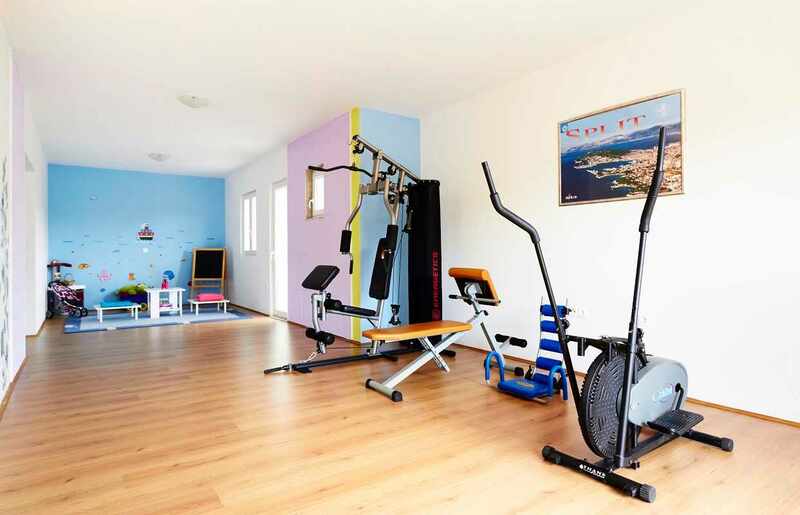 It has a direct entrance to the space for exercise, and from the bathroom to the children’s play area and a living room with a sofa and a stereo. 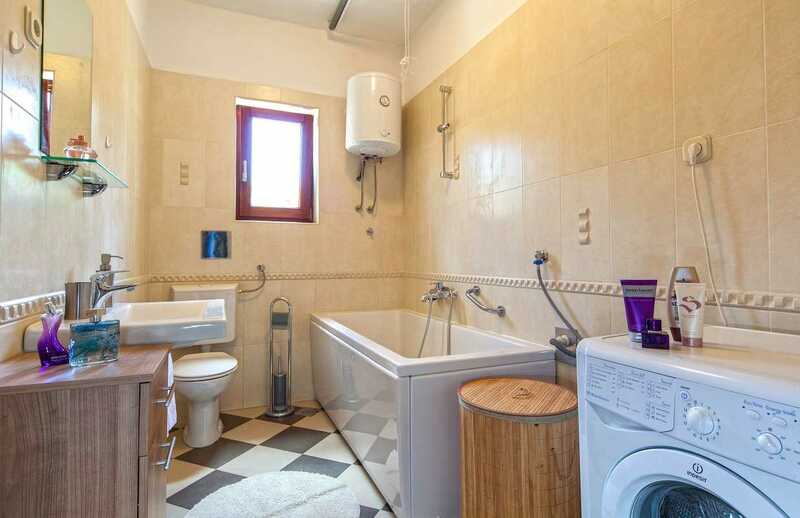 This upper floor is surrounded by a balcony on which one can get out of every room. 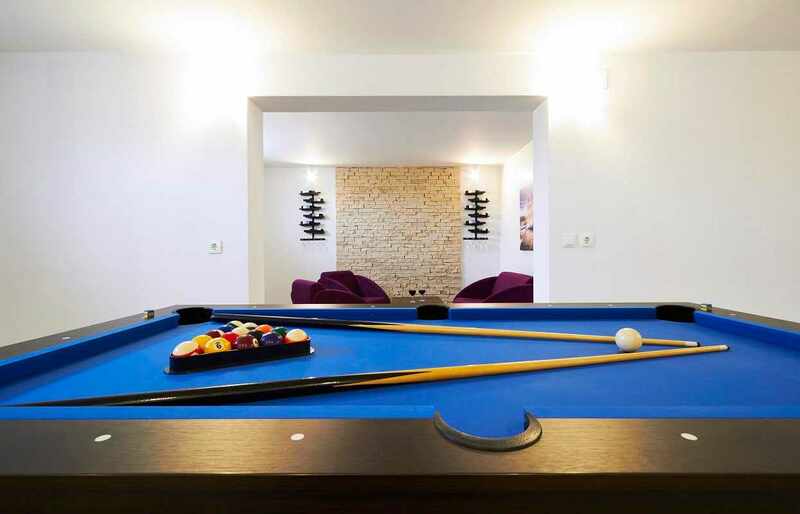 Adults could enjoy a pool game, and children would have fun in an exterior playground. 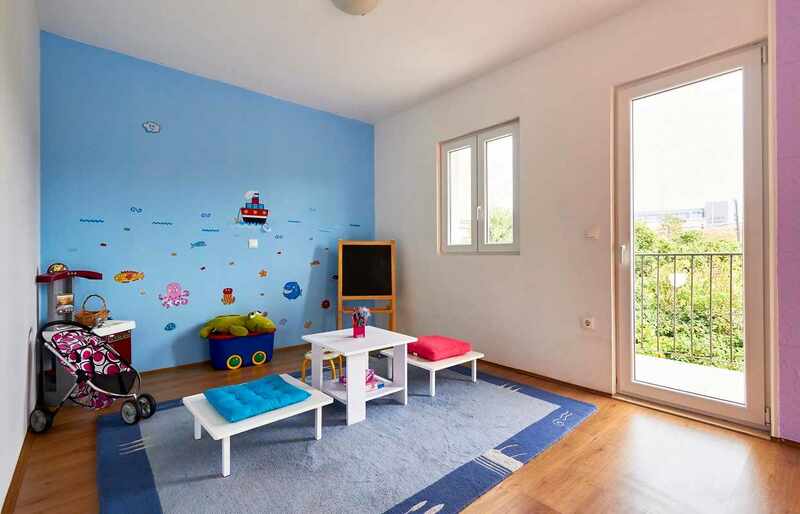 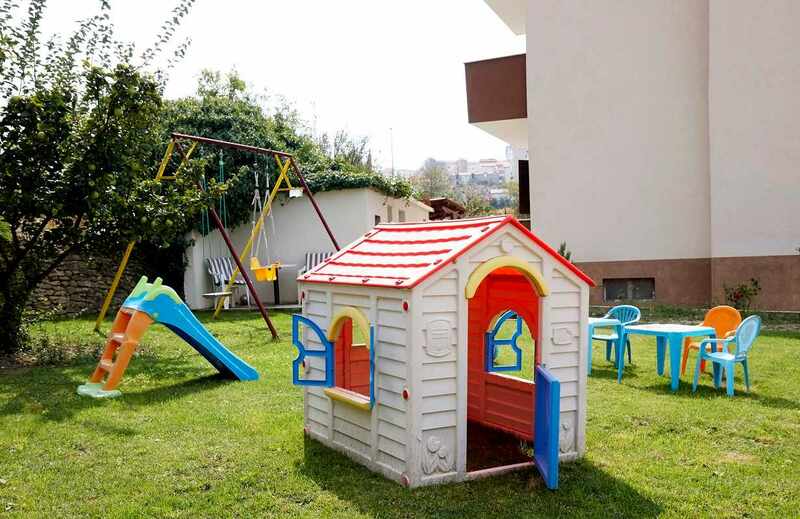 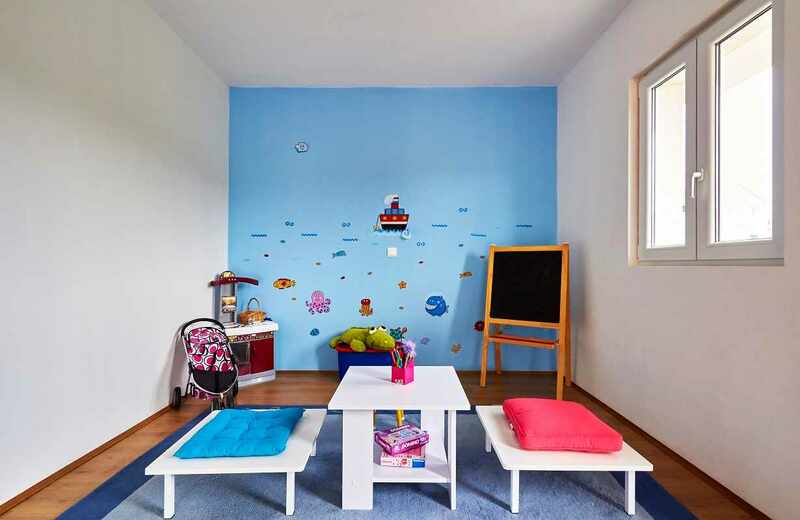 Functionally built and nicely decorated it is the best for families with small children. 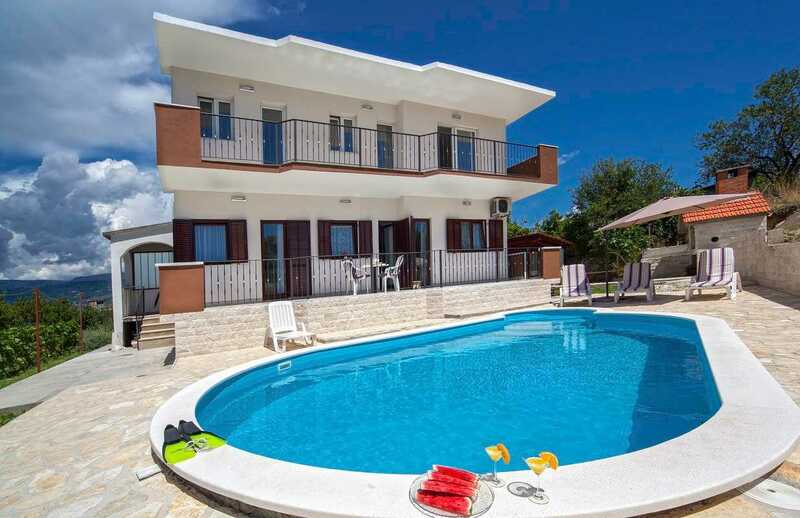 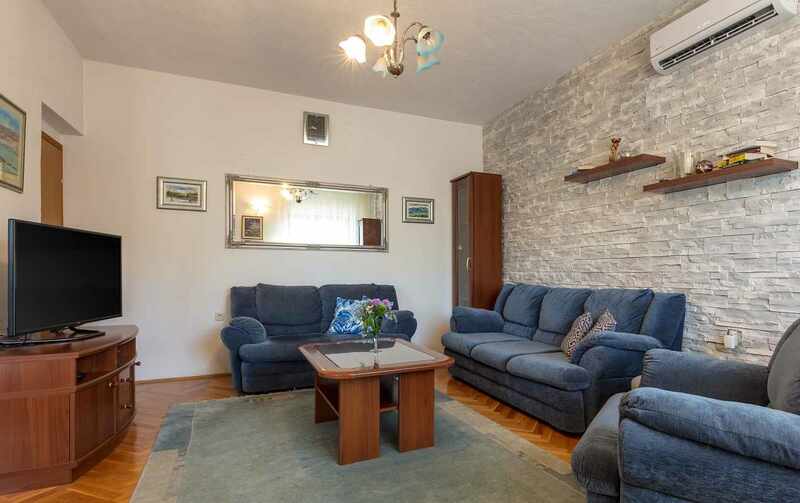 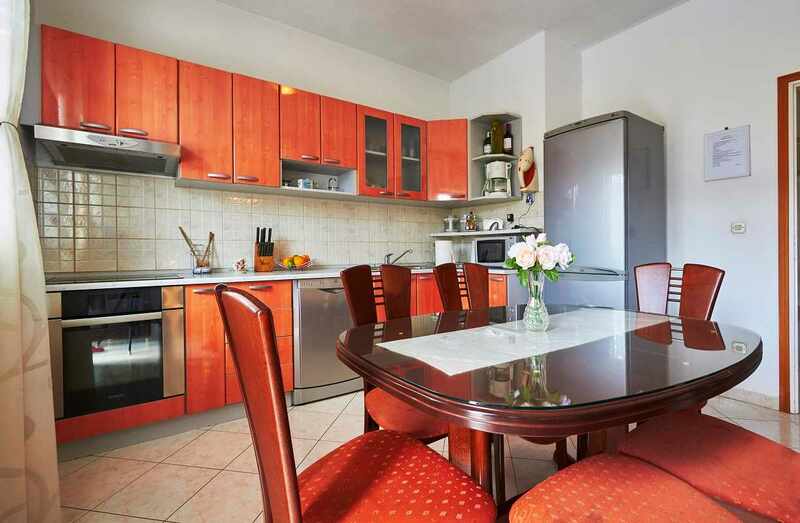 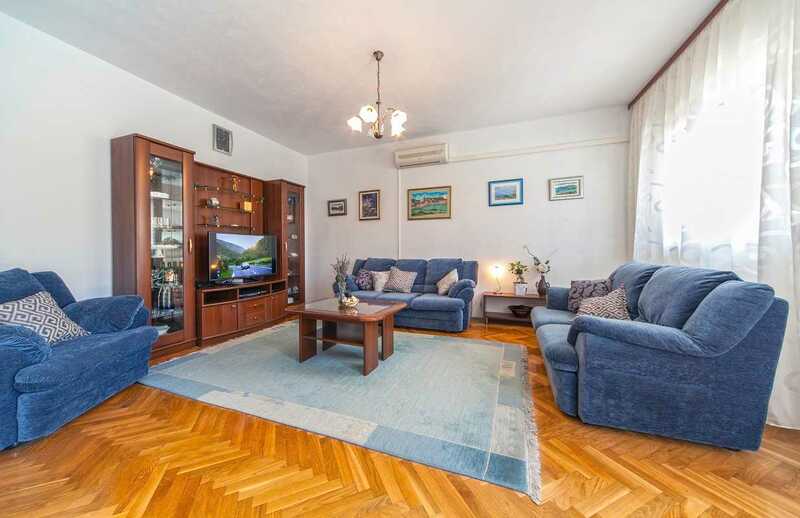 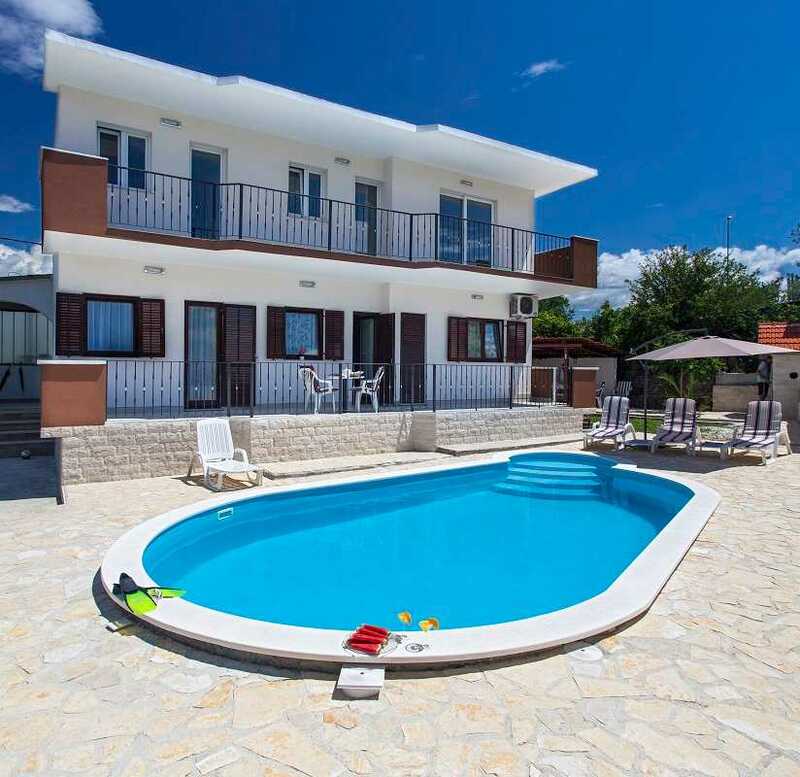 Family Villa in Split Croatia with pool in peaceful area will provide you a quality holiday, easy access to nearby resorts and, of course, the opportunity to look around the famous Diocletian’s Palace. 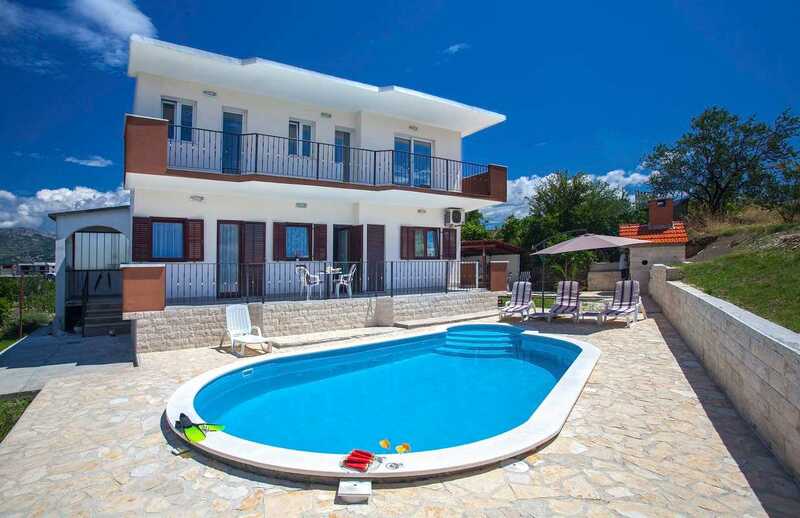 Have a nice stay at Family Villa in Split with pool!